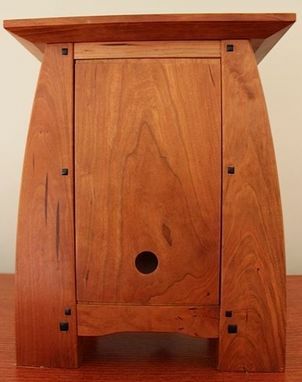 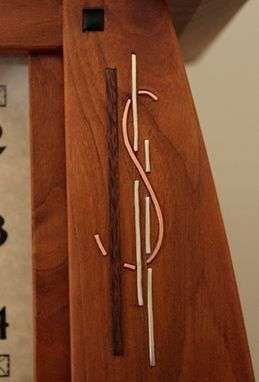 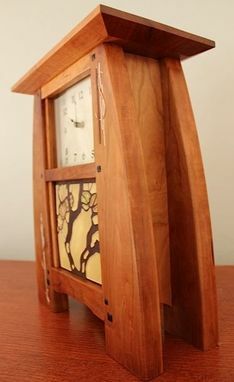 The clock shown here is made from solid Cherry with Ebony pegs. The distinctive inlay sets this clock off from others and is made from Rosewood, Silver & Copper. 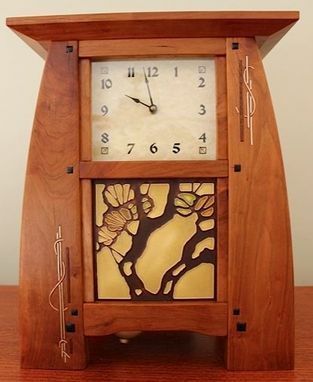 The clock also features a genuine Motawi tile and a pendulum movement. 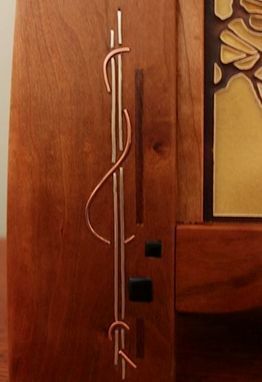 The inlay is a great challenge and can be modified to fit anyone's décor and style.